Arsuf (ארסוף) is a secluded community on a bluff in central Israel, surrounded by nature and wildlife and stunning views of the Mediterranean sea. Fourty families currently live in Arsuf. 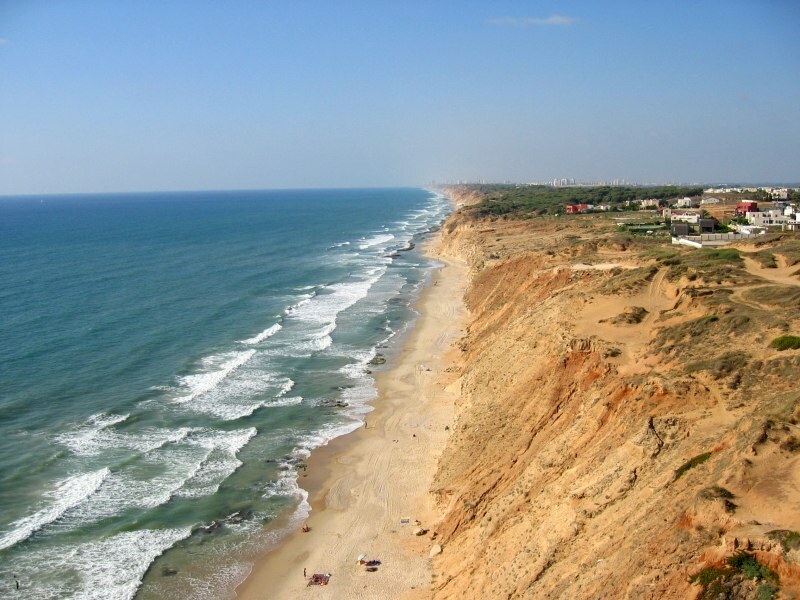 Arsuf is centerally located on a beachside cliff above the Mediterranean coast, just 20 km north of Tel-Aviv and 5 km north of Herzliya Pituach and Kfar Shmaryahu. The National Park of Hof-HaSharon is adjacent to the north. To the east is kibbutz Shefayim, and to the south lay the ancient ruins of Apollonia. Ancient Arsuf, known as Apollonia (אפולוניה), was settled by Phoenicians over 2,500 years ago. It became an important anchorage town, strategically located on the coastal road connecting Jaffa and Caesarea. Over the centuries the town was conquered and reconquered. Arsuf is perhaps most famous for the Battle of Arsuf, where on September 7, 1191 the Third Crusade lead by Richard I of England defeated Saladin, the first Sultan of Egypt and Syria. In 1265 sultan Baibars, ruler of the Mamluks, captured Arsuf (known as Arsur at the time) after a 40 days siege. The Mamluks destroyed the town and it was never resettled. Today the site is known as Apollonia National Park, and has been extensively excavated by Tel-Aviv University. Recently, 108 ancient gold coins were discovered at the site, one of the biggest collections ever found in Israel. See additional photos. In the 1930s Jews from Europe purchased land east of Arsuf. 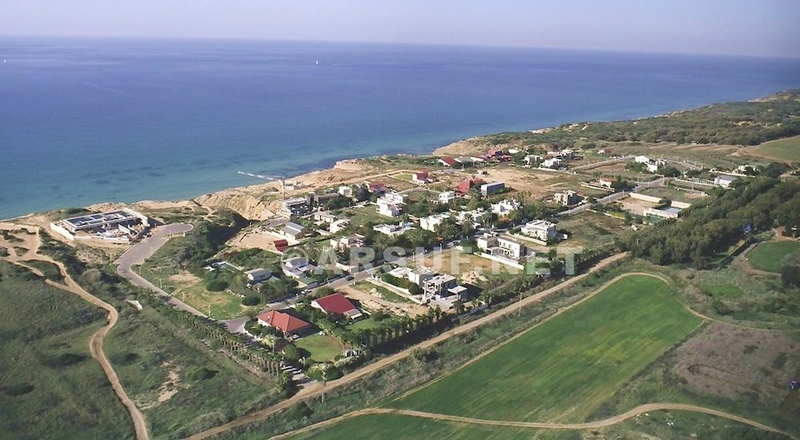 In the late 1940s kibbutz Shefayim wanted this land for farming, so a trade was arranged for land on a sandy bluff with amazing views of the Mediterranean sea, north of Apollonia, where Arsuf is today. The original owners had the foresight that a property in Arsuf — a beach house — could be much more valuable than farmland. Throughout the four decades that followed numerous attempts were made to zone the land and build a community. In the 1970s five villas were built with a special permit, initially without electricity or water hookups. Those were the pioneers, and their villas still stand today. Modern day Arsuf was finally zoned in 1990 and established in 1995 atop the scenic bluff, under the jurisdiction of Hof HaSharon Regional Council. Within ten years most of the villas in Arsuf were built. The residents of Arsuf are mostly affluent Israelis who came to Arsuf to live by the sea in quiet surroundings. Most families have young children or teenagers, and many are schooled in nearby kibbutz Shefayim and kibbutz Ga'ash, which offer kindergartens, a grade school, and high school. Sports facilities in Arsuf offer tennis and basketball courts, a Pétanque court and children's playground. The scenic cliff-tops, the adjacent national park and the secluded beaches below all offer a variety of jogging and biking trails. A community center with an indoor gym is planned to be built next to the tennis courts. The community elected council maintains the infrastructure, sports facilities and landscaping, and organizes neighborhood events such as the traditional Lag BaOmer bonfire. Arsuf is protected by a private security firm with guards on duty 24/7. The Secretary of Arsuf, Mr. Avi Noff, can be reached by telephone at 09-958-2908. 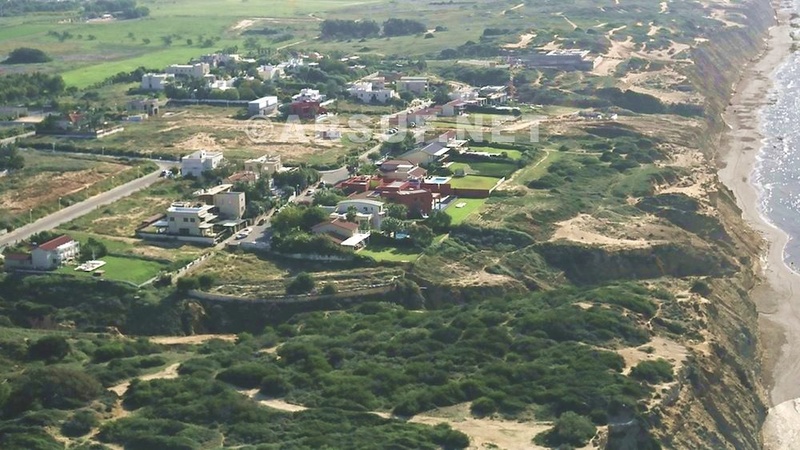 Properties in Arsuf are among the most expensive in Israel. The real estate market lists a few houses for sale at any given time, with only one or two properties sold each year. Many of the vacant plots are held as real estate investments by the descendants of the original owners of the 1930s and have never been offered for sale. A local realtor has most of the listings and does most of the exclusive deals. A recent article published in Globes featured some beachfront properties for sale, and one of the original families in Arsuf currently has their villa for sale. 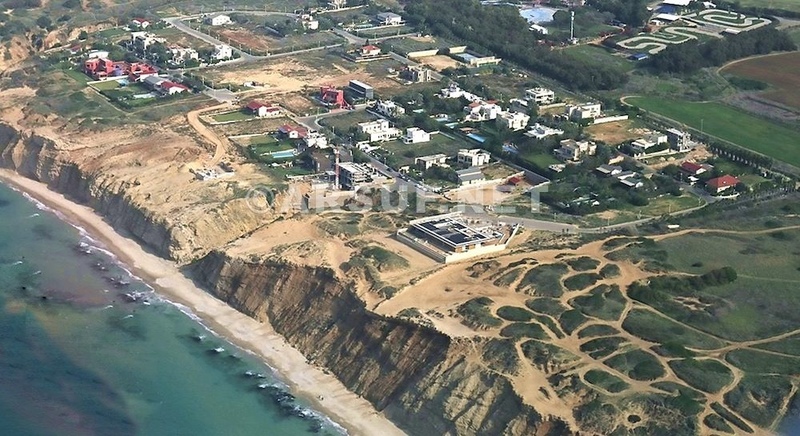 As of 2014, the most expensive property in Arsuf ever sold was a sea front lot on HaGalim street (רחוב הגלים), which sold for $6,000 per square-meter (m²) of land. Arsuf is zoned for 80 plots sized 1400 m² (1.4 duman) for single-family 2-story villas, with some lots subdivided into two 700 m² lots. There are also a few odd-size plots - a 1050 m² lot zoned for a 248 m² villa, and the original 1970s villas that were built on 2000 m² plots. Villas in Arsuf are typically 200 m² to 500 m², depending on the lot size. Building permits are issued for up to 22% of the lot size, and an additional 6% may sometimes be granted for a significant fee based on the value of the property. Building permits are granted by the Planning and Building Committee. In recent years the zoning guidelines are enforced vigorously, and the process of obtaining a permit can be quite lengthy, often lasting a few years. No new building permits have been issued in Arsuf since 2009 because of an ongoing dispute over a new sewage system. Arsuf has a Mediterranean climate, similar to neighboring coastal cities of central Israel, such as Tel-Aviv and Herzliya. The summers are hot and humid, and the winters are cool and rainy, but with many beautiful sunny days. Spring and autumn are lovely, with average temperatures of 23°C (73°F) and very little rain. Situated atop a beachside cliff, with deep ravines to the north and south, Arsuf has a microclimate of its own. A summer sea breeze funnels up the cliffs and cools Arsuf during the hot summer days. The winter storms push up winds of 70 km/h with gusts of 100 km/h, and anything not tied down will fly away, especially from the beachfront properties on the cliff. Thunderstorms bring spectacular lightning shows over the sea and huge waves that pound the beach. Arsuf looking northwest. The National Park is seen to the north. The northwest corner of Arsuf, looking south. The beach of Arsuf is seen to the right.